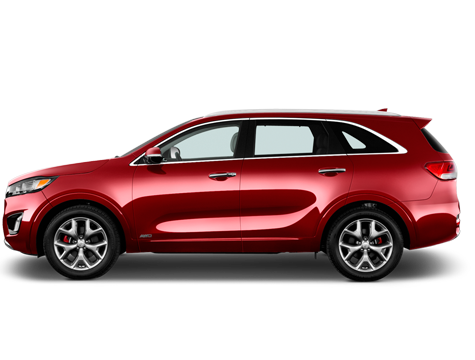 The new Kia Sorento is a terrific SUV where great handling and agile driving meet the convenience of a 7-seat space. With a spacious cabin featuring luxurious design, the Sorento is comfort and style in a perfect package. The Sorento blends rugged durability with modern sophistication, a car that feels just as much at home in the wilderness of the Icelandic highlands as it does cruising the stylish streets of midtown Reykjavík. Whatever your itinerary, the Sorento delivers you to your destination in an effortless, elegant fashion. Powered by a 2.2 litre fuel efficient diesel engine, the Kia Sorento is all about pure performance without burning a hole in you fuel budget. And lest we forget – this vehicle looks absolutely beautiful. Cargo capacity with 7 people aboard is 320 litres but by folding the 3rd seat row down you triple it to more than 1100 litres.